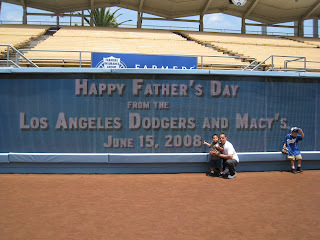 If you have ever been to Dodger Stadium for the annual father's day catch then you know what I'm talking about. Being able to play catch on the Dodgers outfield with your son or daughter is really cool. I went to the event a couple of years ago for the first time. It was worth it. I had a good time. Always be prepared when you go to a stadium. I did not know that former Dodgers would be signing autographs at the entrance. I did not have anything for them to sign. Luckily a stand selling Dodgers merchandise was near. I bought a cheap $2.00 pennant. If your a father and have never attended the event then your missing out. 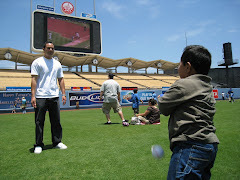 It's always free and former Dodgers are always on hand to sign autographs. Below are some of the pictures I took that day. 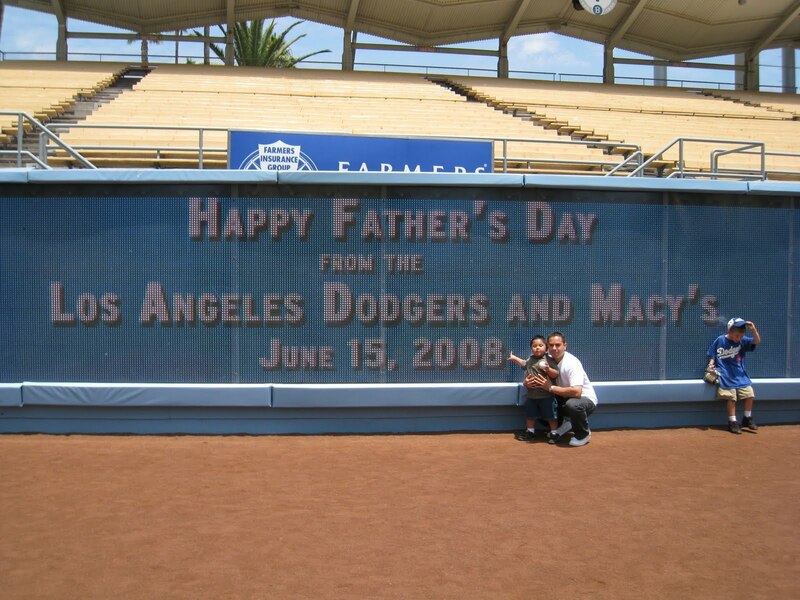 The Dodgers father's day catch is linked here if you want to read more about the event. 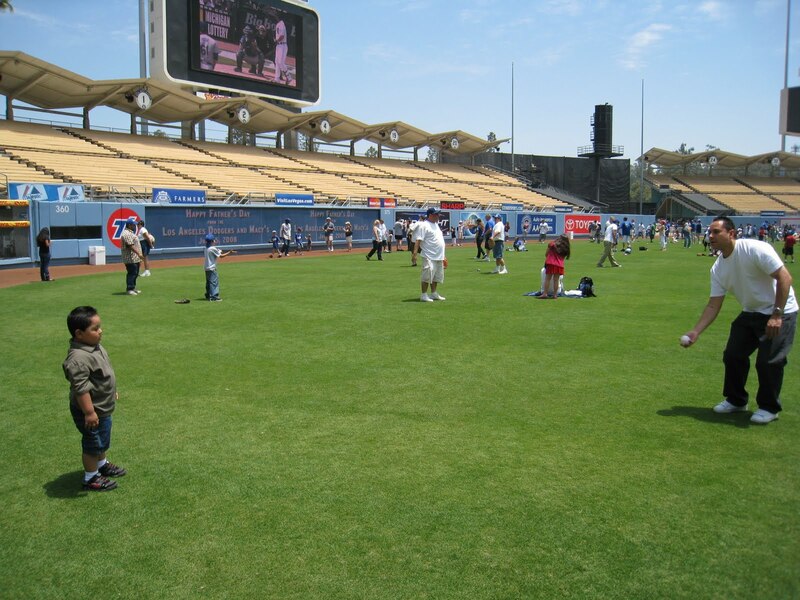 Playing catch on the field. Thanks for reading. Have a good day.